I bought this as V. ammodytes but after looking after localization (Marbella) it seems to be V. latasti. 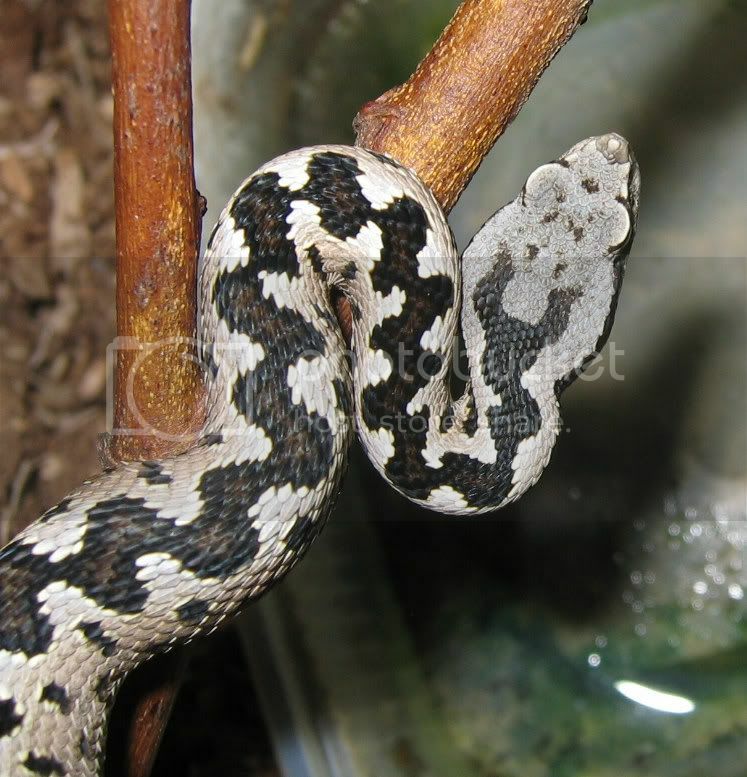 I'm no good with vipers, I have been trying to look for differences but because I don't have a certain V. latasti with which I could compare this one so I decided that I just don't know. Could anyone help me how I make sure which species this is? He's born 06/06 and he's in the cellar at the moment (for the next 4 months). Pictures are no good, I can try to take better ones but I don't want to disturb him very much. So it's male, 1,5 years old and withering as devil. It looks V. latastei to me too. I am sure that it is a V. latastei! The shape and size of the horn tells me that. Nice specimen.. I also thing that it is a male V. l. gaditana, but I´m nor sure of the subspecies.. Assumption is the Mother of all f***ups. Hey! Do not keep it the basement for that long! 8 - 10 week is absolutley enough. Ok, only for few months then in the cellar. Of course when I thought that it's from somewhere more northern than Marbella... Have to took it warm again in mid January. 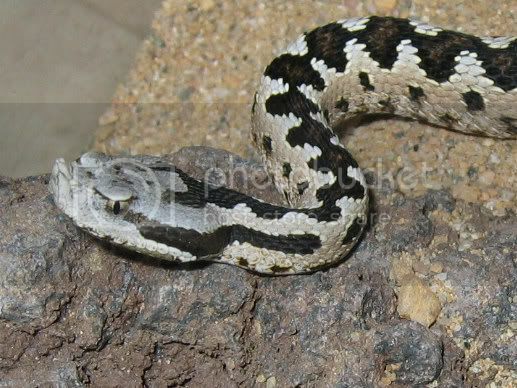 Very attractive snake, best of luck with it. 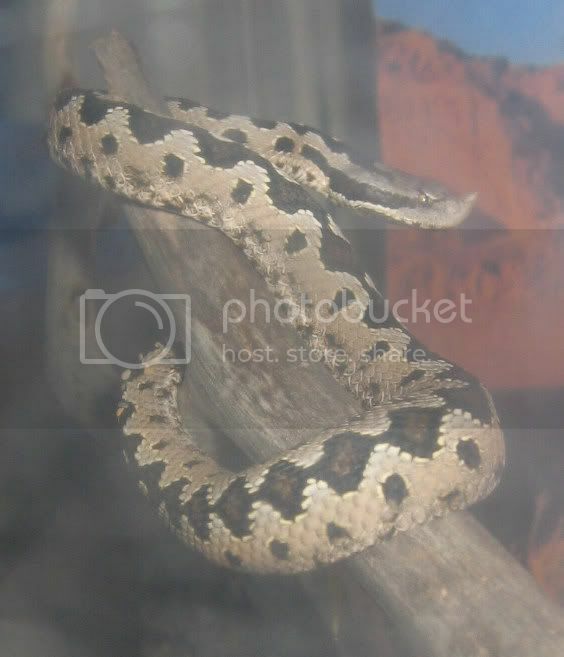 I also thing that it is a male V. l. gaditana..
looks identical to a male latastei I used to keep.